Inspiring Bella Crafts: For Danny Happy Birthday. 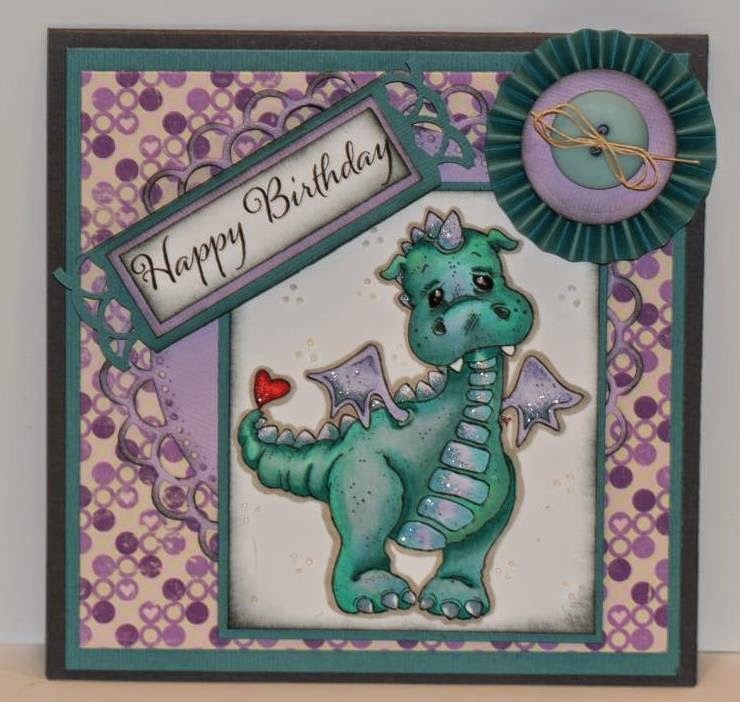 This is a post of a card that I did for a really special young boy. This young boy is 5 years old and has been diagnosed with a form of cancer called DIPG ( Diffuse Intrinsic Pontine Glioma) this is an inoperable brain tumor and for his birthday he just wants people to send him cards. His name is Danny Nickerson and he has a facebook page called Danny's Warriors. I clicked on this page and he has the most infectious smile, I had a great big smile when I seen how happy he was with all his mail.... keep it coming!ABC action news did an piece on him and here is the link. As soon as I seen this article I picked out a suitable stamp and proceeded to make him a card. I thought that every little boy loves dragons. I wish Danny and his family the very best and hope that his radiation treatments will give him the life that he deserves. My thoughts and prayers are with him during this time in his life. I hope that my small card can offer him a smile or a bit of happiness. I see on Facebook that he is receiving a ton of cards... well fan mail and good wishes from well wishers. 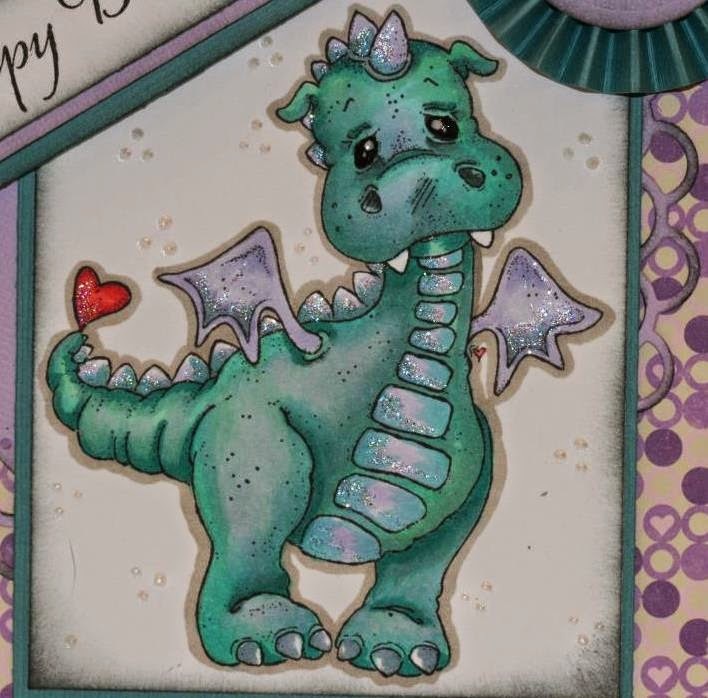 My dragon closer and colored. Have a wonderful day and my thoughts are with Danny . Awww this is awesome and the part about the boy...heartfelt. Well I love the card and I am sure he will too....way to go, and great colors too. TFS!